A day after President Obama announced his new-found support for gay marriage, the leftist Washington Post conveniently released a story alleging that Mitt Romney tormented a gay student during his prep school years. According to the Post’s story, about 50 years ago Mitt Romney marshaled a little gang of jack-booted thugs and forcibly cut the young man’s hair as he cried and begged for help. There’s only one problem with the story; it turns out it was a fraud. The student whose hair was allegedly cut wasn’t gay, and he doesn’t seem to have mentioned it to anyone. One of the purported witnesses, who was originally quoted as saying he was troubled about this incident for years, wasn’t even present, and he says the first he heard about it was when the reporter for the Post told him about it a few weeks ago. It seems the Post wanted some evidence to frame Romney, so they just falsified his quote. The media used to just have a liberal bias, but now they’re resorting to falsifying evidence to advance their agenda. We saw it with the Trayvon Martin case, and we’re seeing it now. Then again, even if this story wasn’t complete BS, I would still have a hard time caring about it. We’re electing a president, not a pope. He is going to command the drones and death squads we use to kill our enemies every day, and I’m supposed to freak out if he cut some kid’s hair 47 years ago. I dislike Romney intensely, but I hate this double-standard in the press even more. 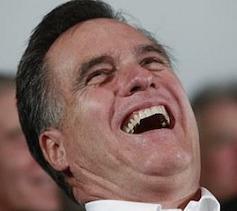 Instead of allegedly cutting his hair, Romney should have just sodomized the guy. Then the Post would give him their full support.